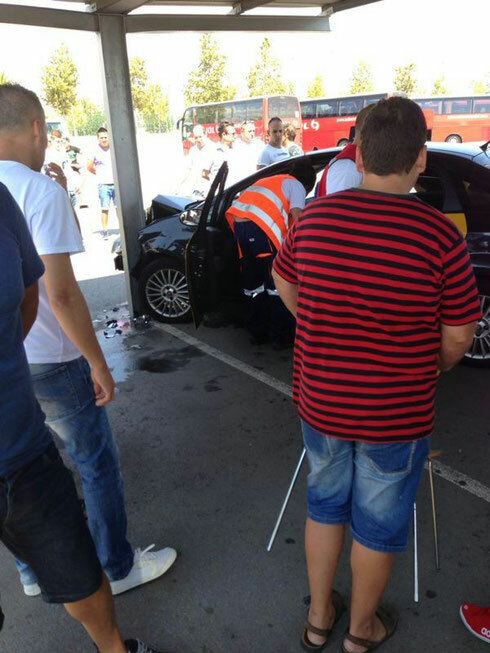 Accidente ocurrido en la terminal 2 del aeropuerto de Barcelona, la persona que lo llevaba, después de esperar su turno para salir de parrilla, se empotró contra una viga. Hay que salir más tranquilamente. My developer is trying to persuade me to move to .net from PHP. I have always disliked the idea because of the costs. But he's tryiong none the less. I've been using WordPress on numerous websites for about a year and am concerned about switching to another platform. I have heard very good things about blogengine.net. Is there a way I can import all my wordpress content into it? Any help would be really appreciated! whoah this blog is wonderful i really like reading your posts. Stay up the good work! You know, many individuals are looking around for this information, you could aid them greatly. Good day! This is my 1st comment here so I just wanted to give a quick shout out and say I really enjoy reading through your articles. Can you recommend any other blogs/websites/forums that go over the same subjects? Thanks a lot! I am really loving the theme/design of your weblog. Do you ever run into any web browser compatibility problems? A small number of my blog visitors have complained about my site not working correctly in Explorer but looks great in Chrome. Do you have any advice to help fix this issue?